Jarid Vollmer, of Idaho Falls Idaho, won his second consecutive Pro Stock National Championship in 2017. It was Vollmer's second full season as the driver of G & J Diesel/MBRP 1941 Willys Pro Stock car. The championship marked the team's fourth Pro Stock National Championship in the past six seasons. 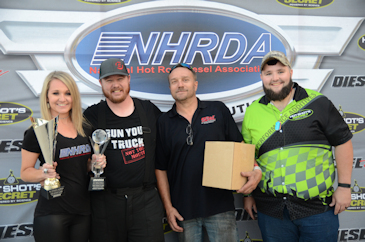 It also gave Vollmer his sixth NHRDA National Championship as a driver (2 Pro Stock, 4 Pro Street) in the past six years.